With over 120 top brands available and thousands of lines in stock - we have everything you could possibly need, all under one roof! The prussik loop has been around for many years and still proves to be a vital piece of climbing kit for many people. These loops have many uses in both climbing and rigging scenarios. Manufactured from Stein Atol Accessory Cord a hard wearing 9.0mm 16 plait Polyester braided cover over a Polyester core. This accessory cord has an Average Break Load (ABL) of 2250kg. 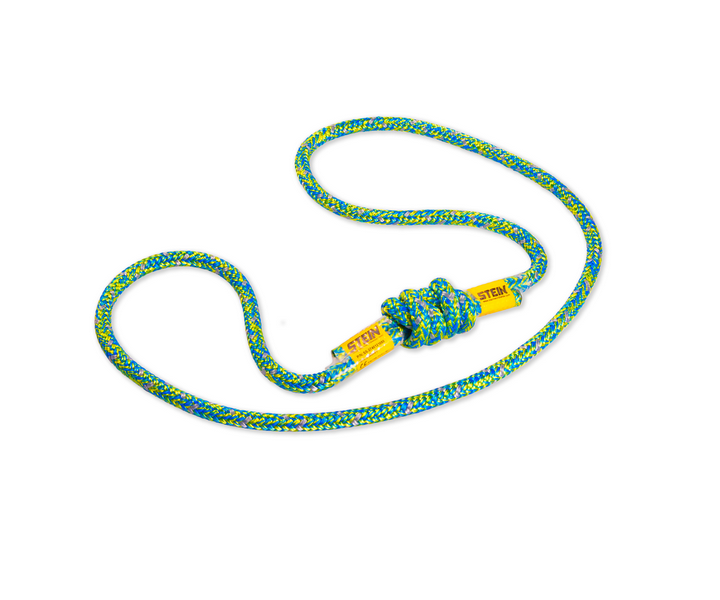 Polyester accessory cords require rigorous inspection on a regular basis before, during, and after each climb. Before use, a detailed risk assessment must be carried out by a competent person to establish that this is the correct product suitable for the type of work being undertaken; your anchor point conforms to industry standards and meets the requirements of CE EN795 (B), potential fall distance, obstructions, and rescue systems have been addressed. Purchasers and users should seek professional training from a fully qualified and competent instructor prior to engaging in any activity using this equipment. If you are not able, or not in a position to assume this responsibility, do not use this product. The manufacturer its distributors and retailers do not accept any liability if users do not follow the instructions correctly. Prior to each use a complete risk assessment must be carried out to ascertain that this product configures with and is appropriate to the work being undertaken. Stein Atol Cord has been independently tested to CE EN564 Mountaineering equipment – Accessory cord. The EN564 standard however only allows for full Certification of cord up to 8mm in diameter!